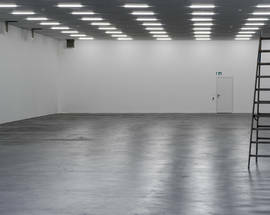 With a dozen art institutions all under one roof, you shouldn’t miss the Löwenbräuareal if you’re into contemporary art. Beer was brewed here for nearly a century under the name Löwenbräu, i.e. lion’s brew, until the brewery was shut down in 1986. 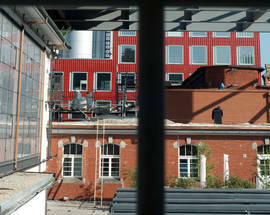 Then parts of the art scene found a home here and since the 1990s Löwenbräu has been synonymous with art in Zurich. 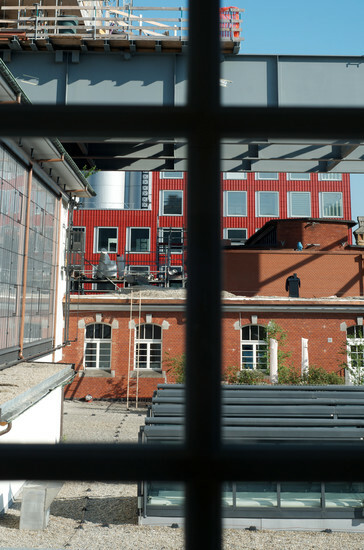 The handsome industrial-era red-brick brewery built in 1897 was used as a base by young artists who stirred up Zurich’s art scene when this part of town still had a distinctly industrial and dingy feel. The young and wild were soon joined by more conventional galleries. 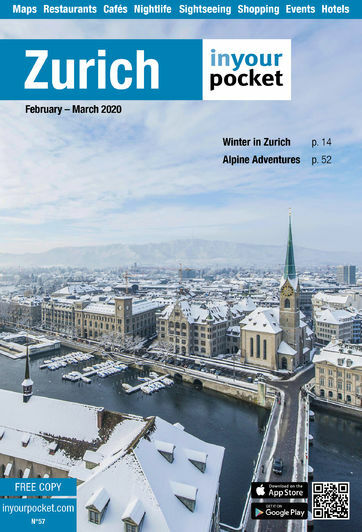 Then, two big names from Zurich’s architecture scene were commissioned to redevelop the site: Anette Gigon and Mike Guyer who are best-known for the Prime Tower near Hardbrücke station. Gigon and Guyer added three rectangular blocks in steel and glass to the complex, one in white, one in black and one in red, with the central, asymmetric black tower protruding out over the original buildings in a daring cantilevered construction. Reactions in Zurich were mixed, both to the architecture and to the luxury apartments included in the new buildings, some with multi-million franc price tags. Now, after three years of construction work, the galleries and museums have moved in again and have much more space than before. Particularly for the museums that means they can show pieces which otherwise might never see the light of day. So while some of the spark of the Löwenbräuareal’s wild years may be lost, the sheer range of exhibitions makes it an absolute must. 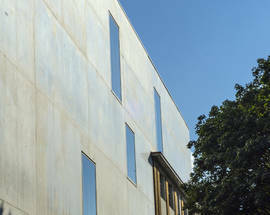 First, there is the Kunsthalle, run by the city, which often shows several different exhibitions in its rooms. Next, the other non-commercial institution here, the Migros museum, which is funded by the eponymous Swiss retailer and specialises on art which takes a clear stance on social issues. 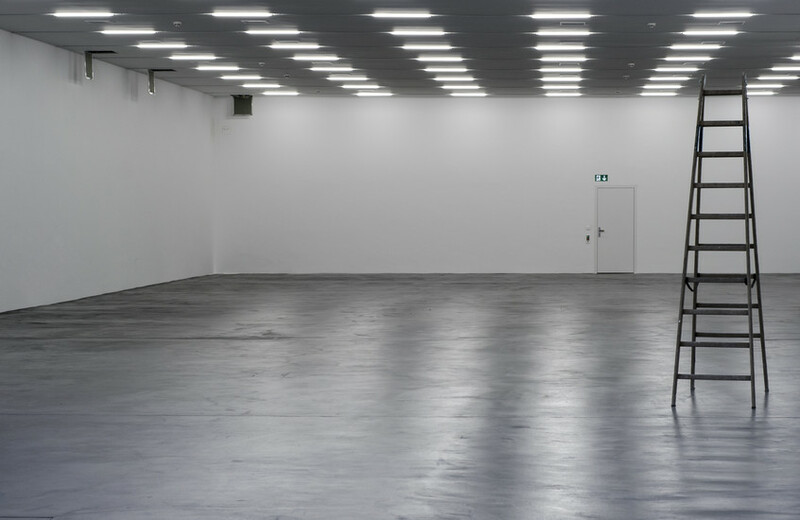 And then the galleries: Hauser & Wirth, Bob van Orsouw, Luma Westbau / Pool etc., Eva Presenhuber, Francesca Pia, Gregor Staiger and Freymond-Guth – and more may join them yet. If you don’t have the small change handy for actually purchasing one the pieces on show, you might want to pop into Kunstgriff, the art book shop on the ground floor. There, you’re sure to find something pleasing to the eye to take home with you. While you need a ticket for the Migros museum and the Kunsthalle, entry to the galleries is absolutely free. And if wandering through an empty brewery leaves you with a longing for the beer that’s not there, the Markthalle (Limmatstrasse 231) nearby is a good bet for after-art refreshments. All spaces usually open 11:00 - 18:00, Sat 11:00 - 17:00, closed Sun & Mon. 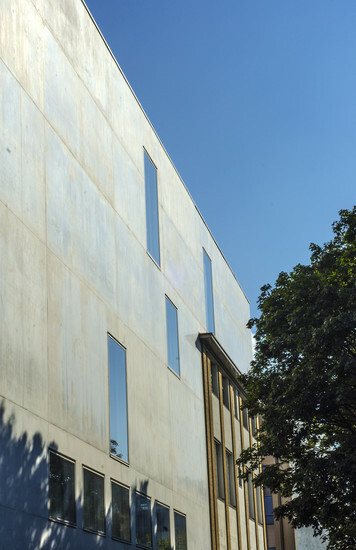 Kunsthalle and Migros museum additionally open Thu until 20:00. Galleries free admission, Kunsthalle und Migros museum 12/8Sfr, but free admission Thu from 17:00.